What gal doesn’t like to have her tummy rubbed? I know I sure do. Have I got a cream for you! This stuff is chock-full-of skin softening ingredients like, Shea Butter, Kukui Oil, Honey, and of course Butter Milk. No silly, it’s not just for tummies, it’s for anywhere you want to feel soft, and smooth…Hey, you never know when youu’re gonna get rubbed! Well, I do declare! Here’s a butter for your body baby! You’ll feel feral and fresh with this super rich, extra moisturizing, iced green tea body butter. 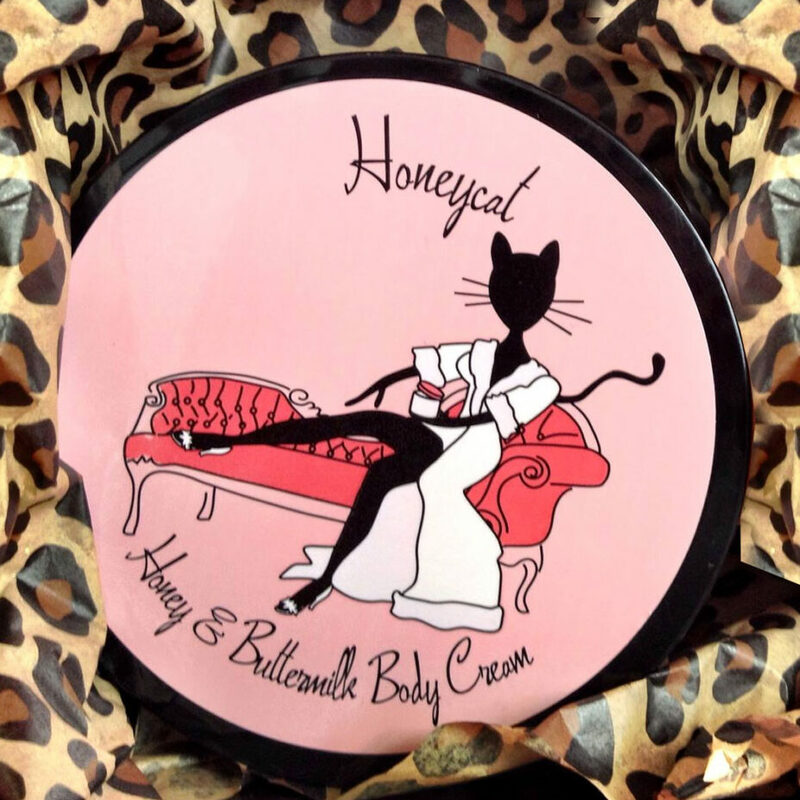 Jam packed with, good-for-your-skin ingredients; sweet almond oil, Kukui nut oil, shea butter, and antioxidants. 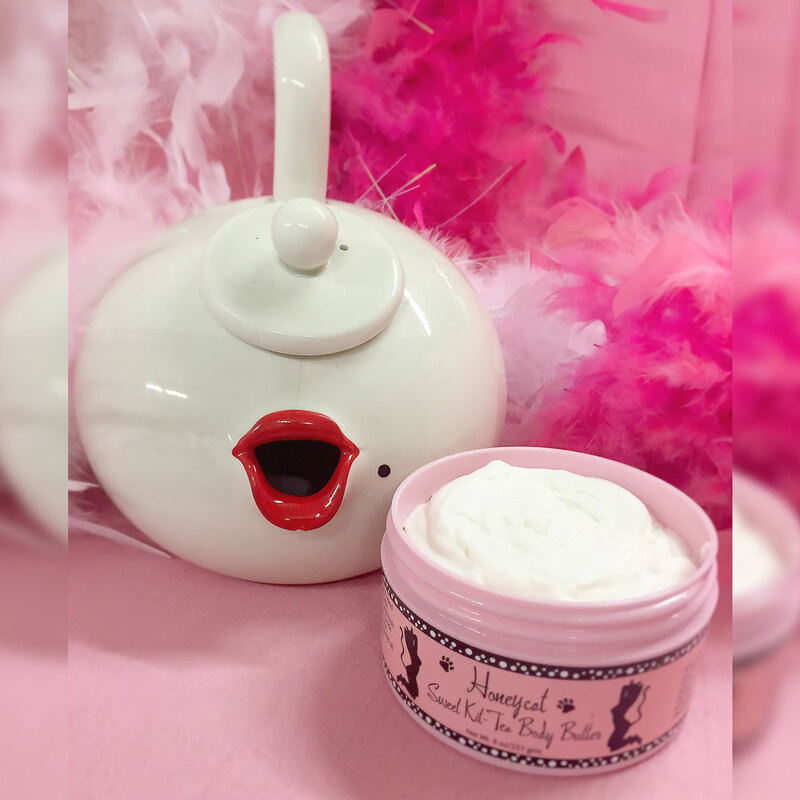 You’ll be a purrrfect swee-tea, and just as refreshed as a peach tree in the rain!